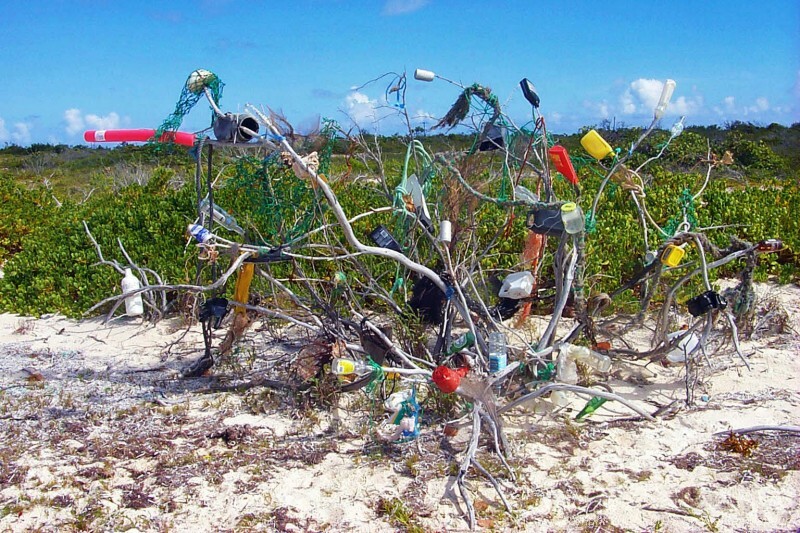 Beach trash sculpture near the southwestern end of Anegada, just to the east of Pomato Point. These impromptu collaborative works of "art" are found at various locations in the islands. Passersby simply attach whatever piece of trash or junk that is handy to the structure, which is usually the trunk of a dead tree. Some of these works are quite amusing. We made several additions to this one, including the red swim noodle at the left.